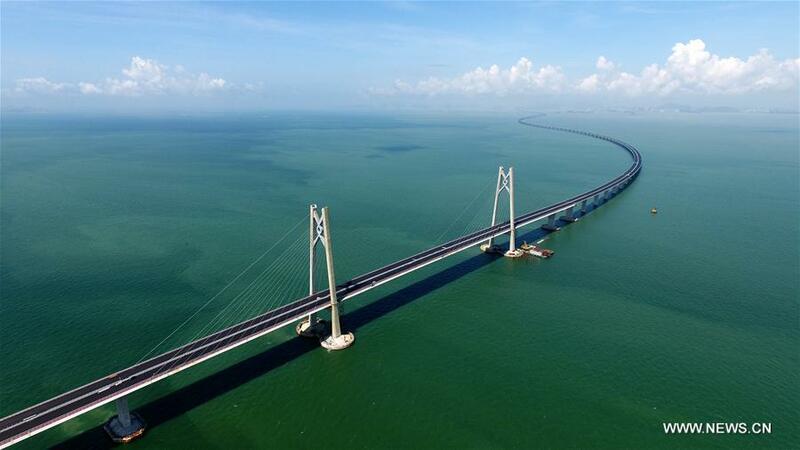 A veteran engineer has called on the government to release a report submitted by an independent consultant over the delay in submitting key construction documents related a section of the Hong Kong-Zhuhai-Macau bridge. Albert Lai from the Professional Commons think tank said publication of the report is essential to enhance transparency and reassure the public. The Highways Department had hired the consultant after finding that about 10,000 documents were not submitted on time by China State Construction Engineering on the project involving the road section between Scenic Hill and the Hong Kong Boundary Crossing Facilities. Highways officials said they were notified by the consultant, Arup, in July – just a few months before the opening of the bridge – that the contractor failed to submit about 10,000 Request for Inspection and Survey Checking (RISC) forms. Officials said the contractor had now submitted the forms, with the dates of the signatures indicating a late submission. In its note on Sunday, the Highways Department had said that the matter does not involve quality issues and said an an independent consultant it hired had gone through all the records. It said no forgery of documents were found. Lai said it "defies" logic that the report of this late submission only surfaced last summer. "These forms should have been filled up at the time of the inspection and the forms had multiple copies kept by the contractor and the engineers as well as the Highways Department," he said. The delay indicates serious issues in monitoring, Lai said. But a former director of civil engineering and development, Raymond Chan, said whether engineers filled in the forms on time or not is not the key issue, as long as there was proper site supervision was carried out. He said engineers could sign the forms after they return to office as the conditions at work site are not always good. Civic Party lawmaker Tanya Chan said a two-year delay in submitting the records is not acceptable, and the government should consider whether to punish the construction company in question. She says the government should also bring in new rules to make sure companies hand in the required documents on time.